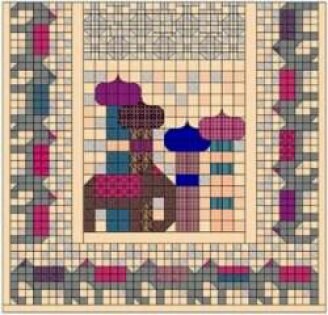 This (queen sized) quilt was designed in Electric Quilt to help a student create her own version of an elephant or Indian inspired quilt. 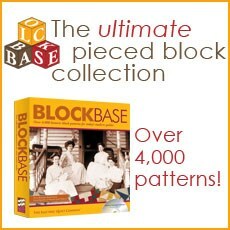 All the patches were produced using squares only — even the triangles! 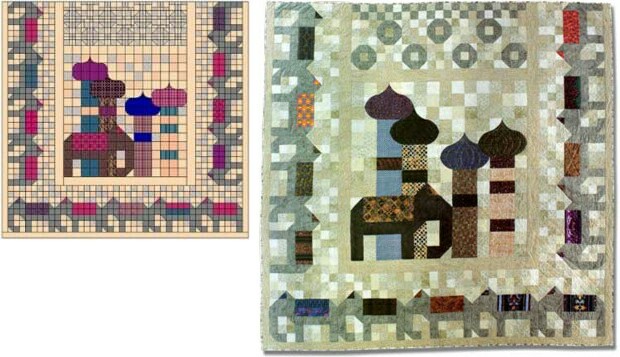 The centre large elephant has been adapted to include minaret towers in the block design, using curved two patch blocks for the tower tops. 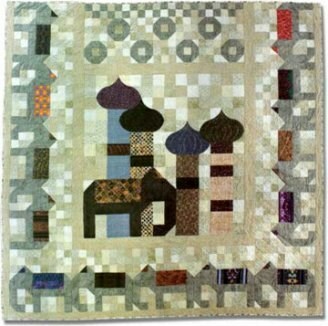 The baby elephants are walking around the edge of the quilt, hence the quilt title. The quilting is completely done with a walking foot, even the wiggly bits. I had to ‘cheat’ a bit when I designed this, but in EQ6/7 it would be quite simply done. The story and directions were featured in Quilter’s Companion, Issue #7. 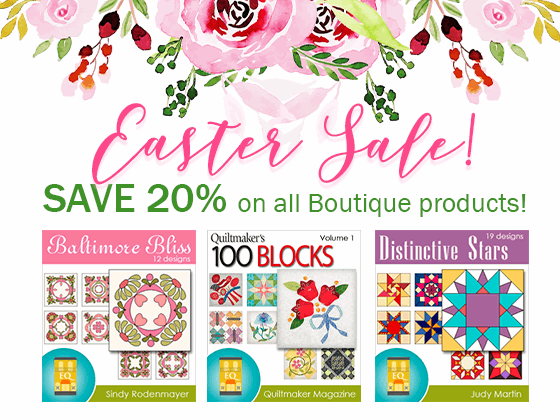 The article has been reprinted in the 2006 Quilter’s Companion Traditional Quilts #1. 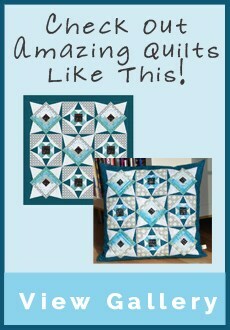 Your quilt design is totally awesome. I love anything to do with elephants but wouldn’t dare commence such a big project. Love it you clever person. I’m old enough to remember the music…And I think you GOT IT1 Bravo!! !